This is the digital version of the pattern. If you would like the printed pattern, click here. 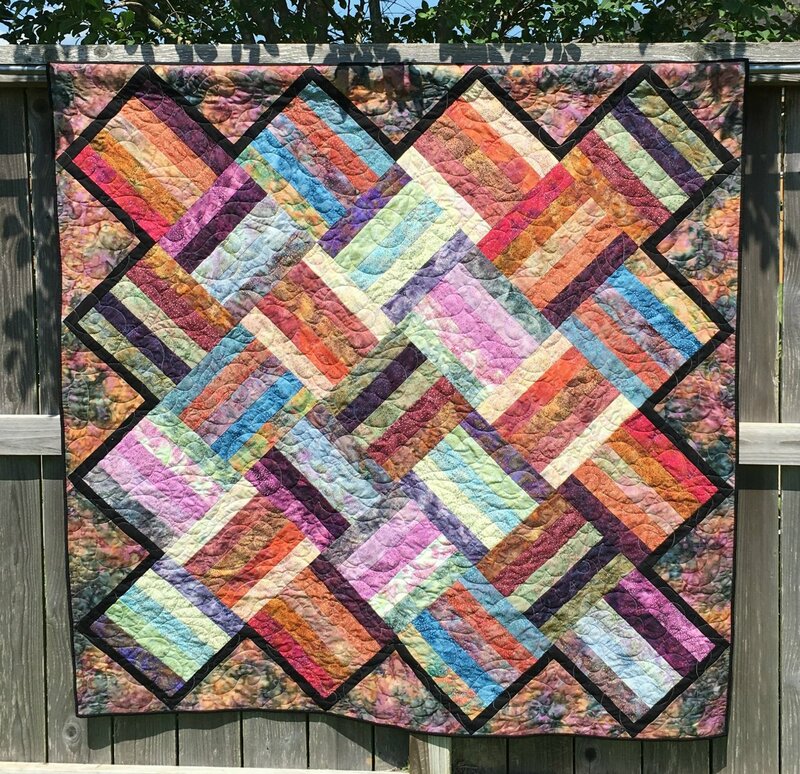 Pattern Description: On point jelly roll friendly quilt. Instructions included for three sizes: lap 60" x 60", full 73" x 88" and queen 88" x 88".